The forests, wetlands, and fields near campus will be your classroom. 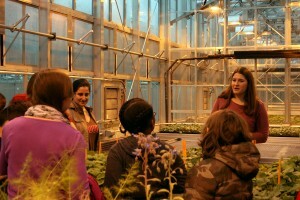 Students gain practical experience working alongside faculty. Address the complex environmental challenges of our time. Whether you want to tackle the effects of climate change, manage forests, or investigate water quality, LVC's environmental science major will give you the technical skills and broad knowledge you'll need. You'll gain a foundation in biology, ecology, and geosystems and become an excellent practicing scientist or researcher. And you'll develop the critical thinking and presentation skills crucial for communicating your findings to the public, clients, and employers. We also want you to get out into the world you study. Environmental science majors spend an extensive amount of time in the field, so you can learn how to design experiments, collaborate with other scientists, and identify and handle species. At LVC, we have rich fieldwork opportunities within walking distance of campus, including a 20-acre eastern deciduous forest, wetlands, and a campus pond. Our Neidig-Garber Science Center houses research-level instrumentation and labs you can access starting in your freshman year. 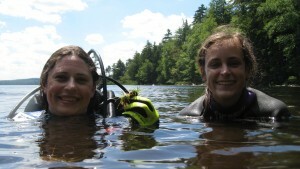 Apply to our Environmental Science Program for first-year undergraduates. Tailor your degree to your interests and career goals by pursuing a related program, like biology or chemistry. Master your degree requirements, from biology to environmental policy. There are four field sites within walking distance of campus, which means you'll have plenty of opportunities to jump into fieldwork through your coursework, student-faculty research projects, or a research project you develop yourself. Conduct forest vegetation sampling at Wood Thrush Research Preserve, a 20-acre nature preserve located on the north side of campus. Or, learn how scientists measure water quality at Quittie Creek Nature Park, a 34-acre nature park in Annville. The impact of woody debris on small mammal communities. Our faculty regularly prepare environmental science majors to contribute professionally to the field. Publish your independent research in peer-reviewed journals or present at conferences held by scientific organizations, like the Mid-Atlantic Ecological Society of America or the Pennsylvania Academy of Science. 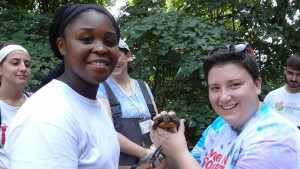 What Makes Studying Environmental Science at LVC So Special? Conduct research at our field sites, including Wood Thrush Research Preserve, Quittie Creek Nature Park, Kreiderheim Pond, and the wetlands study area. Participate in our Research First program for incoming freshmen, which pairs newly admitted students with faculty-led research teams the summer before your first semester. Join a student-faculty research project, design one of your own, or take your career plans for a test drive with an internship. According to data from the U.S. Bureau of Labor Statistics, the field of environmental science is growing quickly. There's an increased need for graduates like you, who can work in ecology and environmental management, and who have the broad-based skills to solve problems, preserve our natural resources, and advise on environmental policy. 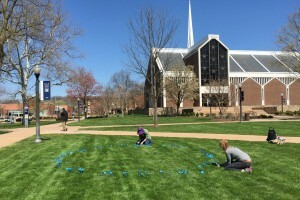 LVC welcomed its first class into the Environmental Science major in Fall 2017. Biology graduates who focused on environmental science classes before the major was established are well on their way to successful careers. They've found work as a water resources coordinator, a forest ranger, and an environmental consultant. They've also enrolled in doctoral and dental programs at Cornell University, Penn State University, Indiana University, and University of Maryland, Baltimore. I believe that my LVC education and experiences laid the foundation for further research at the University of Wisconsin-Madison, entrance into graduate school, and my full-time employment. None of these later steps would have occurred if I had not had classes that interested me in ecology or the opportunity to explore those interests through undergraduate research. 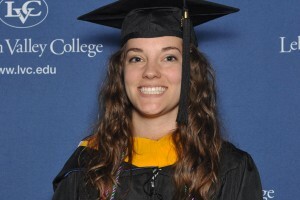 Research and leadership skills developed at LVC set Elizabeth “Libby” Cieniewicz apart from her peers in the Ph.D. program at Cornell University.